Fantassút / Rain on the Borders, directed by Federica Foglia, is a film centred on the recent refugee crisis the world has been faced with. It enters into the lives and stories of some of the refugees who lived in a Greek refugee camp in an effort to shed light on the situation, and give a face to those who may just be considered as a statistic. 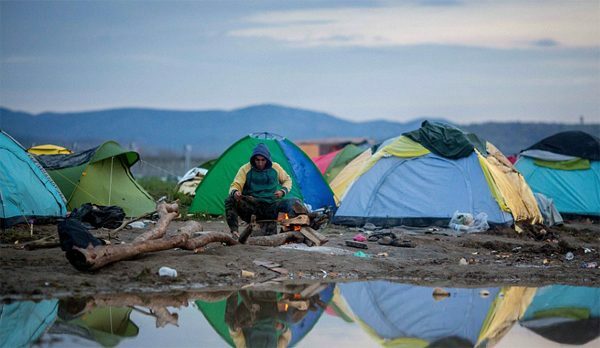 Fantassút/Rain on the Borders, is a Canadian-made short film about 11,000 refugees who lived for months in the bleak conditions of the Greek refugee camp, Idomeni. 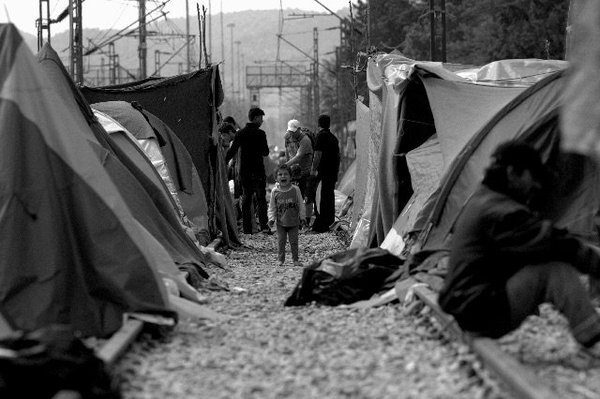 The people, fleeing from war, were living in this dismal environment in hopes of continuing their trek through the Balkans to Europe.Their hopes were not to be fulfilled, because Greek authorities cleared the camp that saw railways running through the makeshift homes of the refugees. The film offers a peek into a few of these lives. Berivan, for example, is a woman who lived in the tent city along with her five children without a proper bathroom, kitchen, or bedroom. Among the fears that they already had in coming to Idomeni, Berivan was scared to sleep and feared for her family’s safety due to the snakes in the area that would approach their tent in the night. She told filmmakers that four snakes had been killed just outside of her tent. On top of dealing with the anxieties of her situation, Berivan’s daughter was sick from the sound of the bombings and was waiting for treatment, which was hard to come by in the camp. Production: This film uses black and white visuals, and documentary-style camera work. It is very effective in capturing the harsh reality of life in a refugee camp. The close-ups of the interviewed refugees and the footage of the children playing in the puddles among the bleak tent city also worked in favour of the documentary’s goal to showcase the humanity of today’s refugees. Emotion: The quotes used from the featured refugees in the film were effective in evoking sympathy and compassion in the viewer. Berivan was quoted saying, “We didn’t leave until our house was destroyed and burned. Our house was hit by a bomb.” There are handmade signs shown in the film that tell how some of the refugees feel about the situation they are in. 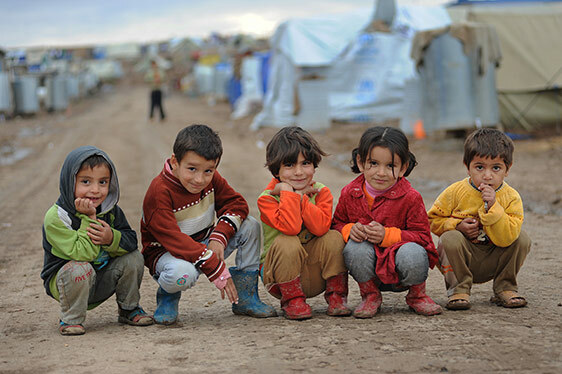 For example, one read, Another read, Explaining that in Syria, they would teach their children that Europe is humanitarian and civilized, but when they arrived, that is not what they found. They fled from war in their own country, witnessing death and destruction, to arrive in a new country that did not offer them the sanctuary they were dreaming of finding. Real World Relevance: It depicts the humanity of the thousands of refugees who were residing at the Greek camp, Idomeni. What the film shows is not isolated to this camp or this situation. The struggles they were up against are faced by all refugees in similar situations; displaced from their homes by war in their countries. This refugee status does not stop them from being human. The refugees shown in the film seem to share a common goal: to reunite with loved ones and secure a better future for their children. Fantassút / Rain On The Borders was shown at the 2017 Human Rights Watch Film Festival in Toronto.